Print : Data Nerds Revolt! PeopleBrowsr Takes Twitter to Court Over Alleged Anticompetitive Actions. On Wednesday evening, social analytics company and Twitter data reseller PeopleBrowsr surprised tech circles, saying it had won a temporary restraining order against Twitter to uphold the two companies’ long-standing firehose agreement, which Twitter seeks to end on Nov. 30. Things in Twitter’s data ecosystem have changed. The company is no longer making firehose deals willy-nilly, paring down the number of companies it chooses to work with directly. The anointed few that Twitter wants to continue working with are part of a special group put together by Twitter, the Certified Products Program. It’s made up of about 20 companies, trimmed from the many more that used to have direct firehose access. Twitter now asks other companies to instead rely on Gnip and Datasift, two certified resellers of Twitter firehose data, instead of dealing with Twitter directly. And from what I’ve been told, many companies have made the transition over to those two smoothly. Twitter’s argument here, according to its court filings, is that using Gnip and Datasift make that data more easily available to a great many companies. In essence, Gnip and Datasift can deal with the headache of handling the myriad companies who used to work directly with Twitter. But Peoplebrowsr can’t make that transition so easily. For one, Peoplebrowsr has had full access to the firehose for some time, whereas going through intermediaries like Gnip and DataSift will only give buyers a portion of the firehose. That’s a problem for PeopleBrowsr, as it claimed in documents filed with the superior court of California. The company has existing contracts with the Department of Defense, Dell Computer, financial data services and others. And CEO Jodee Rich claims that PeopleBrowsr won’t be able to deliver on those contracts without full, unadulterated access to Twitter’s firehose. So Wednesday’s day in court for Peoplebrowsr is a win, albeit a temporary one. PeopleBrowsr will continue to have access to the firehose until it is decided whether or not the company has a case against Twitter. Which, of course, Twitter is denying. “We believe the case is without merit and will vigorously defend against it,” a Twitter spokesperson told AllThingsD in a statement. The allegations leveled by PeopleBrowsr against Twitter are serious. Terms like “antitrust,” “monopoly” and “anticompetitive practices” are being tossed around. In essence, Rich alleges, Twitter’s actions over the past year have followed a road map to dominating the Big Data analytics market. From developing its own in-house Web analytics service, making a series of strategic analytics company acquisitions and slowly trimming the number of third-party companies it was willing to work with, Rich and PeopleBrowsr say Twitter’s actions are clearly anticompetitive, with an end goal to squeeze PeopleBrowsr out of the market. “If PeopleBrowsr can no longer effectively provide these services … customers will face fewer competitive choices … enabling Twitter to increase prices, limit options available to customers, and restrict innovation in the Twitter platform,” the documents state. What’s unclear now is whether or not Twitter and PeopleBrowsr have any contractual agreement that keeps PeopleBrowsr on the firehose any longer. Through my reading of the documents, it seems as if most of PeopleBrowsr’s complaints fall under long-term philosophical promises of Twitter keeping its data a part of an open ecosystem of information. We’ll see what happens when the court decides whether or not PeopleBrowsr has a case. But for now, at least, PeopleBrowsr remains up, running and still on the firehose. Return to: Data Nerds Revolt! 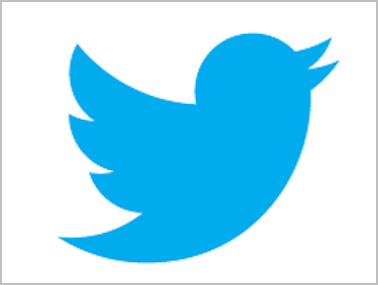 PeopleBrowsr Takes Twitter to Court Over Alleged Anticompetitive Actions.